Dudutech was at the biggest gathering of the biocontrol industry ever, held in October this year. 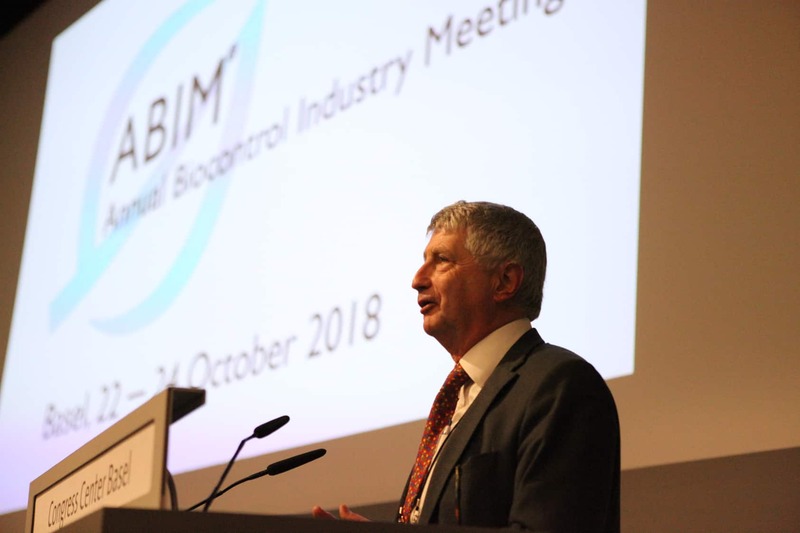 Tom Mason (Dudutech MD) and Barnaba Rotich (Dudutech Commercial Manager) were among the record-breaking delegation of 1050 people from over 500 companies at the 12th Annual Biocontrol Industry Meeting (ABIM) held in Basel, Switzerland. Recent growth in the biocontrols industry correlates to strong growth in organic farming and. According to Lucius Tamm from Research Institute for Organic Agriculture (FiBL), organic farming, despite having boomed by 455% in 17 years from 11 million ha to 50 million ha, provides a smaller market than conventional agriculture. This information hints at the optimism for the future of the industry as biocontrols move closer towards improving mainstream awareness and acceptability.